Being self assured, but not belligerent. Being accommodating, but not spineless. How am I seeing the situation (and should I look at it differently)? With reams of data at our disposal, it is very easy to arrive at very different evidence-supported answers to the question “how are we doing?” Those closest to the situation tend to have a really good read on how things actually work, but once performance measures are imposed, these same people can start to question their gut feelings. Taking time to gather a different perspective on your own may be more effective than simply taking in the perspectives of others. One part confidence; two parts humility. 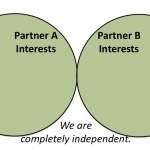 Who do I have to work with (and how are those existing relationships)? We have relationships to manage that are up, down and across. Our group of stakeholders will vary in terms of stature they maintain in the organization, but individual differences in style almost guarantees interpersonal challenges amidst the organizational politics. In practice, we have to navigate a complex web to get what we want for us and for others. Efforts are building/rebuilding relationships can make the tightrope seem a little wider (or maybe not so high). What are the real priorities here (or, at least, what should they be)? Sticking with the “rope” metaphor (why abandon it now? ), what happens when tightropes turn into tug-o-wars? Such situations tend to consume lots of effort, but provide disappointingly little in the form of results. Many of us are not in the position to impose our views on the organization, but we all can exert a degree of influence. Even when things are at cross-purposes, speaking truth to power can be scary. Is asking power for a small clarification any better? This entry was posted in Performance Measures & Scoring, Training the Right Things and tagged Collaboration, Leadership, performance indicators, Playbook, SCMAO, Supply Chain on October 28, 2015 by chris493. What to measure becomes so important. In the absence of any other measure, maybe “participant satisfaction as indicated by ‘smile sheets'” is acceptable and maybe we even set a goal accordingly. We could get some help from George Doran and employ the SMART goal framework (Specific, Measurable, Achievable, Relevant, Time-bound). Mr. Doran’s helpful and memorable tool may create some unintended consequences. Specific: Oversimplifying a situation such that the focus is on the “operation” and not on the “patient,” as in the dark humour of “the operation was a success, but the patient died.” We trained teams separately to keep a friendly atmosphere. Participants loved the “team building” sessions, but we still have turf wars between these two groups. Other examples could include, delivering a product that met the customers specs exactly, but seeing unacceptable margins. Relevant: Again, to whom? In trying to increase relevance by attaching rewards to achievement, the sand-bagging danger rises. Time-bound: This tends to drive the behaviour that the stages of the journey are discreet and independent. Winning the Tour de France is not necessarily about leading at every stage. In an effort to establish goals that align the interests, I find myself up against three (at least) immovable truisms that I will explain here. It is a journey not a destination: The long-game can easily get lost because it is so difficult to conceptualize. Let’s pick a direction to move towards and not worry too much about “what happens if we get there?” or exactly where “there” even is. If pinned down to an overall direction for his live shows, let’s assume that Prince would say he wanted to create an exceptional musical experience. Rumour has it that all musicians and back-up vocalists were encouraged to come and tell Prince when they had nailed their part, at which point, Prince would add to their task. The guitarists that mastered the base-track would get a dance sequence. The well rehearsed back-up vocalist would be given a percussion part. And if you nailed that, he had even more for you. The message being: good enough is never good enough. Everyone games the system: Self interest is part of everyone’s psyche. It will kick in for different people at different times, but even the most principled and well-intentioned people will take advantage of ways to game the system. We must take extreme care in selecting measures because that will directly impact behaviour. Work is not family (for everyone): Many will use the metaphor of a family or a community to describe an organization that functions with a healthy degree of trust and shared focus. For me, community is more realistic simply because it introduces the responsibility you have as a member of the community, but also leaves the door open to leave the community if you find another one that is a better fit. The understood permanence of the “family” connection means that your only choice is to make the best of it. This can generate a nice bit of commitment, but can also create resentment and guilt. This critique of some common approaches to goal-setting and identifying some relevant “truisms” should provide some important rationale behind the “results-based development” approach explained here. 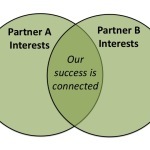 This entry was posted in Results-based Development and tagged Collaboration, Goal setting, Organizational Development, performance indicators on September 5, 2014 by chris493. To start, let’s assume that “good competition” is indeed possible. Let’s further assume that for it to work, it requires that parties share an understanding of what “good” they are trying to accomplish. For businesses, making money is “good,” but so are other forms of benefit: safer automobile travel (Toyota), or sustainable practices (Unilever). Governments are expected to think more about the greater “good,” and as a specific illustration, let me use community health-care in Ontario. Let’s say that “good” in this context is “efficiency in delivering necessary services to patients,” or something that balances provision of necessary services within fiscal constraints. As is the current practice, the government-funded payment to service providers for some activities can be attached to a result or outcome: a service provider is given a lump sum to achieve a specific outcome (e.g. heal a wound). If they can complete the task more efficiently, profit is theirs. If it happens to take longer or more resources, the provider spends those resources, but can’t come back to the funder for more money. If this works, tax-payers in Ontario get better bang for their collective buck, and patients get high quality care; wins all around. This same type of arrangement could work in a non-governemnt context as long as the service provider is at least partially interested in the same definition of “good.” This creates “good competition, and efficient organizations that do good work will succeed. The realm of “bad competition” can be peppered with “perverse incentives,” whereby, for example, a service provider could legitimately want a patient to stay sick, or at very least, err too much on the side of caution and so as to go wildly offside with a “fiscal responsibility” effort. This is the potentially very ugly underbelly of the public-sector contracting out to the private sector. In a consulting relationship, this can create, for example, an incentive to run-up the billable hours. Setting goals and objectives that promote shared accountability is extremely tricky. From my experience, the real trick is to align activity to a common purpose (e.g. the “good”), and I will go as far to say that without a shared interest, collaboration of this nature is impossible because the result will actually create “bad” competition. This entry was posted in Results-based Development and tagged Collaboration, Organizational Development, performance indicators, shared value creation, Social Impact, Toyota Collaborative Safety Research Center, Unilever on September 5, 2014 by chris493. To have a serious look at “performance,” each of these is necessary though no one dimension logically prevails. 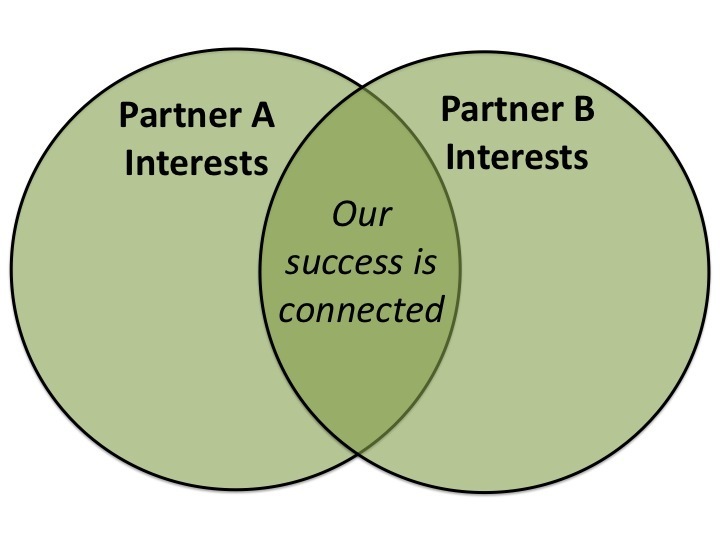 The result of the interplay is very tangible to those operating in and around the environment. Employees actually live it, and investors, suppliers and other stakeholders are deeply affected by it. From an organizational development perspective, these dimensions offer distinctly different lenses through which to analyze and evaluate performance. They can also inform opportunities for on-course corrections that can pre-empt a larger “realignment” or “change project.” Here is a quick explanation of what you could see through each lens. There is alignment toward an overarching purpose. We all know why we are here. 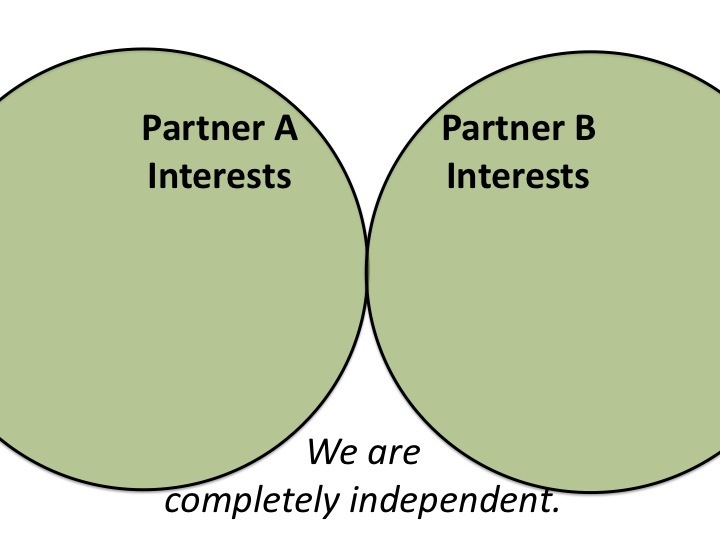 We have an obvious shared interest and our conflict is about how to get there not where to go. Attachment to “core values” grows rigid such that an unrealistic zeal drives activity. People are quick to become indignant when others suggest that we would ever compromise or question the direction that has been set. Lack of consistent focus makes it hard for people to assign priority. Lower levels of management feel compelled to check with upper levels. Management shows reluctance to exercise judgement because decision-making criteria is unclear. There are appropriate and trackable indicators of performance at individual, team and organizational levels. Discussions around performance, including performance reviews, have some objective and tangible criteria. Rampant gaming of the system to make “my numbers,” with complete disregard for overall impact. No concept of “taking one for the team” because there is no opportunity to provide a context or expectation of reciprocity. There is no meaningful indication of results and outcomes. Well-intentioned people often feel that although much gets done, little may have been accomplished. There are a few key parameters that people maintain (and don’t need to look at the website for guidance). These are supported in formal policy (e.g. vision, mission and values). Decision-making may be stifled because everything is prescribed and no judgment is required. People look for air-cover from a policy or from “so-and-so said we have to do it this way” to justify actions/decisions. The funnel of “policies in progress” is always full. An analysis of this nature has to sift through competing perceptions of the situation. If the goal is to improve performance, the first step should be to better understand it. The interplay of these dimensions is similar to the combination of individual life philosophy, personal goals, and code of conduct that form a human being. Some degree of misalignment is inevitable, but very often it is manageable. Large misalignments and inconsistencies will become obvious over time and become more difficult to manage and to hide. Using these dimensions as a periodic diagnostic within an organization can bring insight to where to focus time and energy to proactively affect future performance. This can also help to prevent large crises that require swift and sudden change. This entry was posted in Clarifying the Story, Performance Measures & Scoring, The Role of Rules, Training the Right Things and tagged Collaboration, Leadership, Organizational Development, performance indicators, Rules and Ethics on June 12, 2014 by chris493. Well, what do/did you expect? Any discussion regarding performance has to include both outcomes (e.g. what you accomplished) and conduct (e.g. how you accomplished it). These concepts can exist together in statements like “they won fair and square,” but with the current mayoral race in Toronto, many would encourage to keep them separate. Pro-Forders say: Look what he’s done (e.g. outcomes). So what if he’s not perfect (e.g conduct). Another camp says: I don’t care about his record (e.g. outcomes); his behaviour is unacceptable (e.g. conduct). So, John, do you mean that you will show up to work “everyday”? “Every workday” (e.g. you will take vacations and weekends)? Everyday that you show up to work, you will try to get things done (e.g. you could indeed be absent, maybe even absent a lot, but when you are there, you are there to get things done.)? Note: If the response is to tighten the wording of the “code,” we will undoubtedly get stuck with unreadable legalese! Transparency, honesty and integrity are far too conceptual to be prescribed on a code of conduct. That said, I think we have every right to expect these traits in leaders, political or not. My second problem with defining the “barely acceptable” conduct is that inevitably the code is used to counter any critique of performance. As of April 4, 2014, Rob Ford can factually claim: “I have not been charged with a criminal offence while in office.” The binary distinction of charged or not charged is apparently the expectation here. Does integrity and honesty really come down to “I have not been charged with a crime.”? This is akin to Lance Armstrong’s claim that he had “never failed a drug test,” which, in retrospect, was not the best evaluation of his performance. Even if a candidate for Toronto’s mayor said: “Trust me, I am going to pay better attention to my conduct than the current mayor has been,” some still won’t care. Unfortunately, the outcomes Toronto will have received by 2018 will remain a mystery past voting day. When it comes to conduct (e.g. the “how you go about doing it”), leaders should give us much more than “barely acceptable,” so why bother defining it? The effort in defining the “barely acceptable” should be spent on the outcome side. (e.g. If I have not achieved X by 2018, I will not run again.) This will demand leaders accepting responsibility for things beyond their individual control, which might create a necessity for people to work together. This entry was posted in Clarifying the Story and tagged Collaboration, Leadership, performance indicators, Rules and Ethics, Workplace Rules on April 4, 2014 by chris493.